This will be a non sanctioned Tournament, so all payouts will be Cash/Trophy!! First 50 signed up will get a Player Pack Disc. 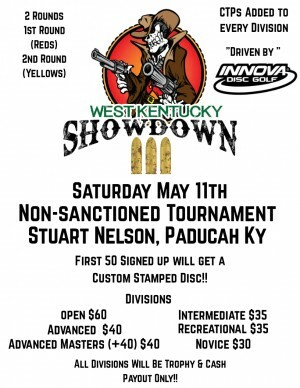 West Kentucky Disc Golf Club is responsible for all refunds and cancellations. 1 Hour after Last Card is Turned in!